The PS2 may have looked as if it were on its last legs – a lame duck with no good new releases. I almost believed this, but Persona 3 has proven it wrong, and because of it, I’m still playing my PS2 more than my Wii. Granted, this RPG is not for everyone. It’s about 70 hours, sometimes difficult, and very Japanese. But I do recommend it to anyone who’s interested in the genre, for a couple reasons. First off, this game has a plot and ambiance that surpasses standard RPG fare. Like the original Persona (which didn’t get much exposure), Persona 3 involves modern Japanese high school students fighting demons. It is done in an anime style, but differently enough to separate it from the rest of the pack. Also, like its predecessors, Persona 3 has excellent music (and the soundtrack included has some of the better tracks). Surprisingly, much of the voice acting is good as well, with only one exception. I’ll only come if we can get Dippin Dots. Engine-wise, this game does many things well and few things poorly. Getting “social links” by spending time with certain people around school and in town is easy enough. Managing your time properly to build many of these, however, is hard. In my play-through, I only “maxed” six social links, and came close with two more – and there are more than a dozen. It is possible to get them all on one play-through by following a strict schedule. Most of the social link side-stories are entertaining, and a few are quite touching. The game progresses through day-by-day, sort of like what you’d expect in a sim game. Most days, you go to class, go do something to improve a social link, then come back to the dorm. You have the option then to go to Tartarus, the main dungeon of the game and where you’ll likely spend the most time. In Tartarus, you enter combat similar in style to Valkyrie Profile – you attack enemies with your sword. If they don’t see you coming, you get a surprise attack, but if they hit you instead then they get an extra turn. The combat system is simple enough to be intuitive but complex enough that strategy is required. In combat, you only directly command the main character – which, again, keeps it simple. When fighting you use a Persona, which gives you attributes, strengths and weaknesses. Since you can change your persona (in fact, only the main character can), there is some strategy to keeping the right personae on hand to deal with any situation. Unfortunately, this leads into one of the major problems in the game. No matter how powerful you are, at some point you’ll need to rely on your team. They are usually dependable, but sometimes they get easily confused. One of the characters is really great in battle – until she reaches around level 50. She obtains a costly skill to remove elemental resistances, and uses it on an enemy that would have died anyway the next round. Other characters will use status effects on dying enemies too, unless you expressly forbid them from doing so. Doing that is a bit annoying every battle. For boss battles, though, the AI is usually reliable enough. 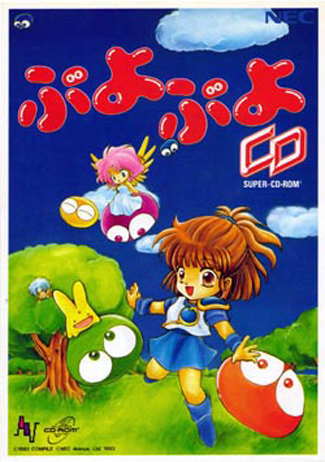 Another complaint about combat is that if the main character dies, you lose, and you are sent back to the title screen. Thankfully, there is a consumable item that protects you from a single death-type spell, but there is little to prevent an enemy from getting a couple critical hits and killing you. Also problematic is that combat can get repetitive. The best strategy is to hit all the enemies with their weak element, which knocks them down. Then you get to do an all-out attack, which usually finishes them off. More interesting enemies crop up later in the game, but for a while it all feels rather mechanical. Tartarus is a huge multi-sectioned tower. It’s randomly generated, but rarely does this become an annoyance. On certain days, a new section of the tower opens up, along with more quests related to that section. The most common quests are basically “reach the highest point you can now go”, and have a deadline, but these often aren’t very difficult. A couple of times, I finished that quest within three days of the new area opening up (that’s fast). Despite my complaints, the gameplay works. Journeying through Tartarus is a study in how smoothly RPGs should run. Hitting enemies to enter combat lets you avoid battles and get ambushes more often with a little work. Loading times are present, but not significant. Combat runs quickly, but it’s still easy to keep track of what’s going on. One of the first things you will notice, as early as seeing the packaging for the game, is that Persona 3 is very blue. It sounds stupid, but it’s true – if you don’t like blue, you might not like this game (if you’re a Happy-Happyist, though, it will no doubt become your bible). But it’s not just that it’s blue graphically – plot and music follow this trend as well. This is not a very happy game. Many JRPGs are very feel-good, with some few delving into vaguely depressing side-stories. This game is among the minority that have made me feel sad while playing, but still glad I experienced it. Also, most of the time JRPGs deal with everything from one or two perspectives. Something emotional happens, one or two of the characters deals with it briefly, and they move on – maybe mentioning it once or twice later in the game. 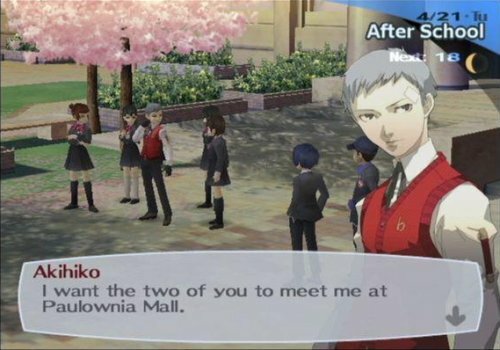 In Persona 3, you can talk to your party members every day, which makes for great characterization. They don’t say a whole lot, and sometimes don’t say anything new for a few days – but you find out what they are thinking when they’re bored, when they’re getting ready for an exam, and, if something major happens, you get to see them cope with it. 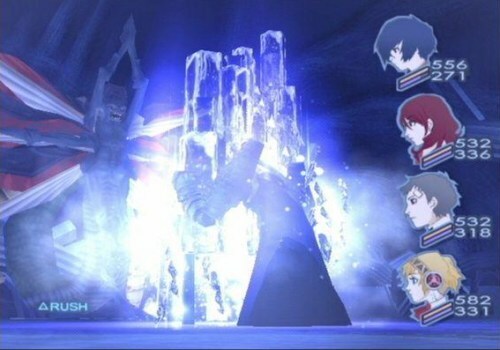 I felt a stronger emotional connection with some of the characters in Persona 3 than I have in any other RPG on the system. 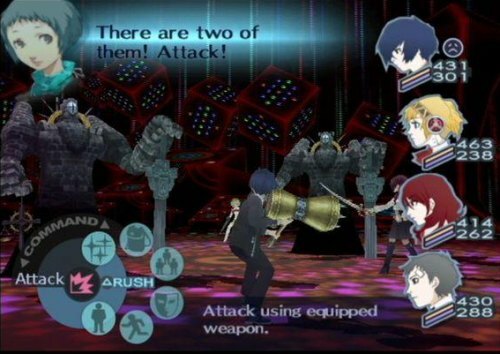 Persona 3 is easily the closest I’ve found to my “perfect RPG” after many failed attempts. I really wish I had the time to sink into it that I need to complete it. My reasoning is simple – Persona 3 understands what jRPGs have become, understands what the name implies, and ties it all together. Its got story and character interactions and an anime setting, but it keeps things at a snappy pace so there’s never any downtime. There is always something to do aside from combat, and depending on how you play I think you could spend more time outside of Tarturus than in. Meanwhile it still puts the role into role playing game. The things you do outside of battle will effect your personas, which in turn affects your own strength. The choices you make do more than just change dialogue trees, but effects how you are going to fight. Seems like a simple enough concept, but I can’t think of many games to either do this or implement it well. And I find the game far less depressing than I anticipated. At the very least the music is upbeat and chipper. I despise randomly generated dungeons. I also despise games with one dungeon. I may stay away. How is the actual school day part of your life handled, Chris? Are there classes/mini-games ala Bully or is the game more concerned with those gaps in the day between lessons? The actual school day part isn’t very fleshed out. Occasionally (about once every third day), you’ll get a question from the teacher or have the opportunity to nap during a lecture. The questions are either “were you paying attention to the last few sentences I said” or general knowledge (some very obscure, some ridiculously easy). Answering right or not napping in class will increase your stats (meanwhile napping in class helps if you’re tired from your exploits in Tartarus). I completely understand your second question (as I’m bored of that myself – the only characters I’ve really liked in the past few Wild Arms games have been the older characters). Sadly, there are no people older than punky high-schoolers, but Mitsuru and Akihiko are both seniors and pretty mature for their age. They act as mentors to the younger students. I think I almost bought this game half a dozen times over the last few months, but something always held me back. With Persona 3: FES coming out, now I know it was destined to be. If only I could have held on for 3 years between Twisted Metal: Head On and its extravagant PS2 remake- now all those times the game froze just before I beat the last boss are even more aggravating to think about. Since FES can supposedly take a save from the original Persona 3, Chris, are you planning to take it for a spin? Yeah. I was tempted for a while to replay the first game, actually, so I think I’ll be going through FES. I don’t know if I’ll use the loading feature since it might kill any difficulty, but I’m sure I’ll be playing it shortly after it comes out. Hi friends, how is the whole thing, and what you wish for to say regarding this post, in my view its in fact remarkable for me. scheme in our community. Your web site offered us with useful information to work on. You have performed an impressive job and our whole neighborhood will be thankful to you. Hi friends, its enormous post on the topic of educationand entirely defined, keep it up all the time.